The Angel Glacier flows down the north face of Mount Edith Cavell in Jasper National Park, Canada. It is named as such because it has the appearance of an angel with out-swept wings. It was much larger when it was named in the 19th-century, but as with most glaciers worldwide, it is melting rapidly. 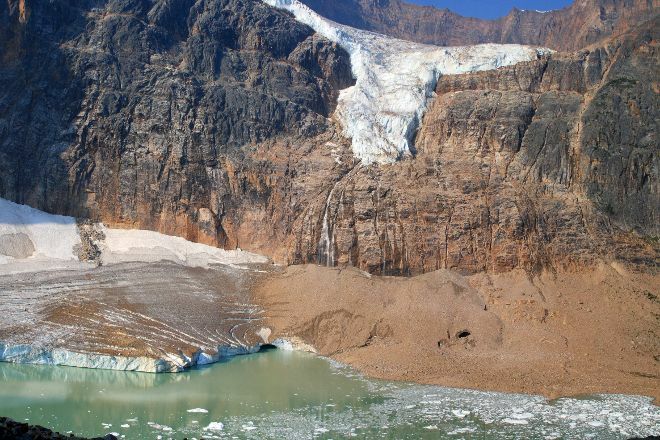 It is not expected to maintain its distinctive appearance for much longer, and will eventually disappear from the face of Mount Edith Cavell.The glacier is visible from the Cavell Meadows hiking trail. Add Angel Glacier and other attractions to your Jasper National Park trip itinerary using our Jasper National Park trip itinerary website . Jasper town from 93 Hwy, Hwy 93 A went to the Angel glacier of Mount Edith cavelle mountain, 15 Km, 15 Km from there. Trail is quite interesting in the famed. When visiting by car Angel glacier prior to application and don't have permission to do. As said, we went in knowing that I parked in a roadside parking place in front of the Ranger who was very helpful. Occasionally smacking the Angel glacier snow collapses, it was exciting. really looks like an angel! We found a Angel!!! Great!!! 천사 모양의 빙하, 조금만 올라가보면 볼 수 있습니다. 하지만 전 별 감흥은 없었습니다. 카벨메도우의 트래킹코스는 마음에 듭니다. You can see the angel-shaped glacier, just a short climb. But the star was not inspiring. I like the trekking course of the Karbel Meadows. Konnten ihn leider nicht sehen, da der Parkplatz gesperrt war und niemand hoch fahren durfte. Eine Information an dem Highway wäre nett gewesen! Could unfortunately not see him, because the parking lot was locked and no one was allowed to drive up. An information on the highway would have been nice! Every day, we help thousands of travelers plan great vacations. Here are some tips on how to use your Listing Page to attract more travelers to your business - Angel Glacier. Promote your permanent link - https://www.inspirock.com/canada/jasper-national-park/angel-glacier-a183735433 - on your website, your blog, and social media. 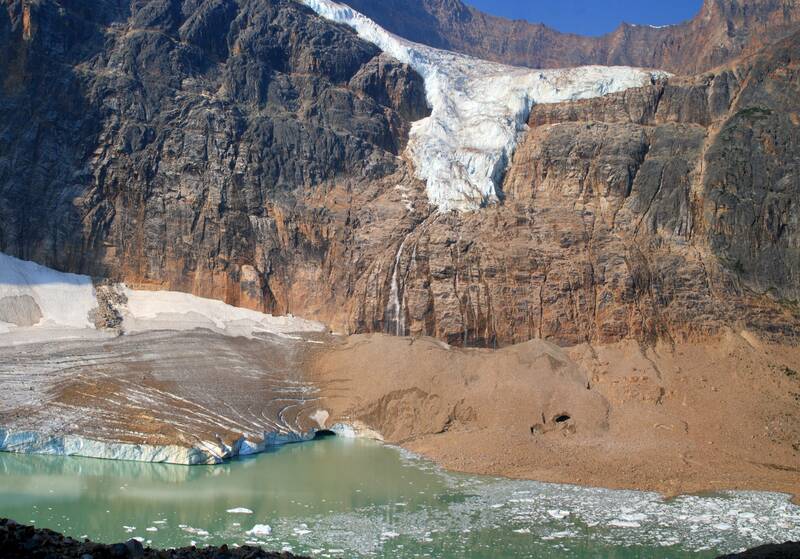 When a traveler builds a plan from this page, the itinerary automatically includes Angel Glacier. This is a great way for travelers looking for a great vacation in your city or country to also experience Angel Glacier. Promoting your link also lets your audience know that you are featured on a rapidly growing travel site. In addition, the more this page is used, the more we will promote Angel Glacier to other Inspirock users. For best results, use the customized Trip Planning Widget for Angel Glacier on your website. It has all the advantages mentioned above, plus users to your site can conveniently access it directly on your site. Visitors to your site will appreciate you offering them help with planning their vacation. Setting this up takes just a few minutes - Click here for instructions.